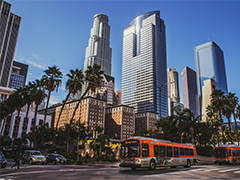 The City of Los Angeles Workforce Development Board (WDB) recently released the final Year 19 Annual Plan for Program Year 2018-2019. The 2018-19 Annual Plan plan covers the service strategies, activities and budget for the City’s Workforce Development System and outlines how the City will deliver and promote services to create a trained workforce with access to good jobs, which will lead to the development of a strong regional economy. 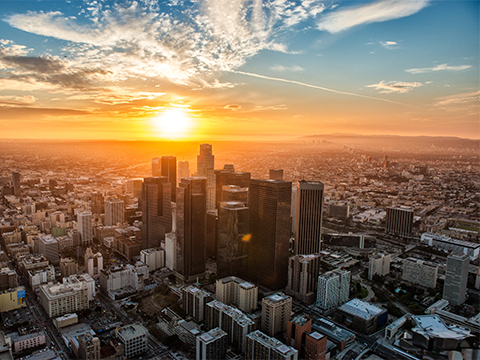 Regional Planning through the Los Angeles Basin Regional Planning Unit - What is it? 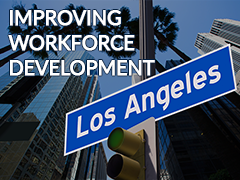 The Workforce Innovation and Opportunity Act of 2014 (WIOA) and the State of California Workforce Development Board mandates regional workforce planning by local workforce development boards. In The News houses an archive of all WDB events, news and workforce related articles.